What is the difference between a quartet, trio or duo? 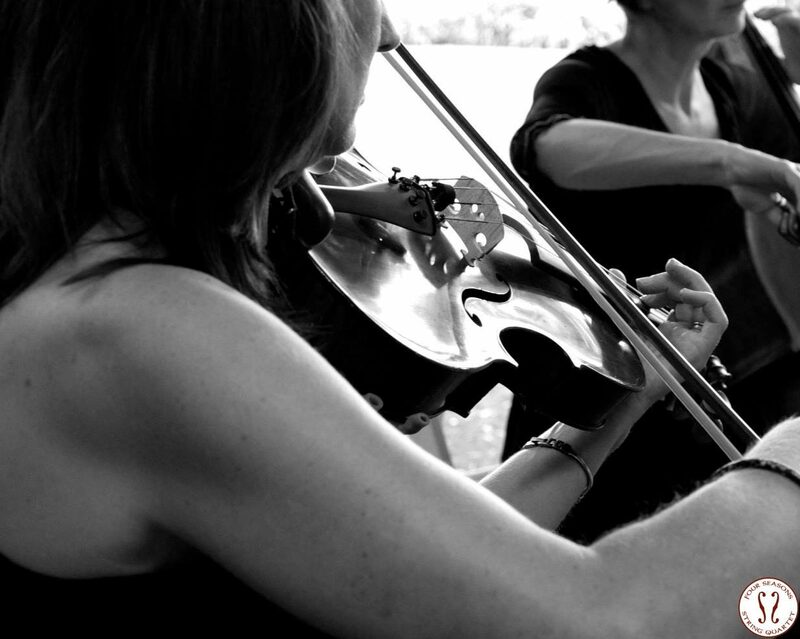 String quartet is the most popular form of chamber music. It has the richest and most balanced sound and largest repertoire. When comparing quartet to trio, you notice that the trio does not include viola. To a musician the voice of the viola is especially dear as the ideal inner voice supporting and balancing the overall tonal structure. When you hire a string quartet the four musicians form a semicircle, which is visually impressive. String trio does not have viola. Most of our repertoire works well with this ensemble as the two violins and cello carry the important parts of music. However the viola adds a harmonic richness and depth to the sound. The trio takes up less space than a quartet. If you have an intimate function or small space available, duo is the choice for you. 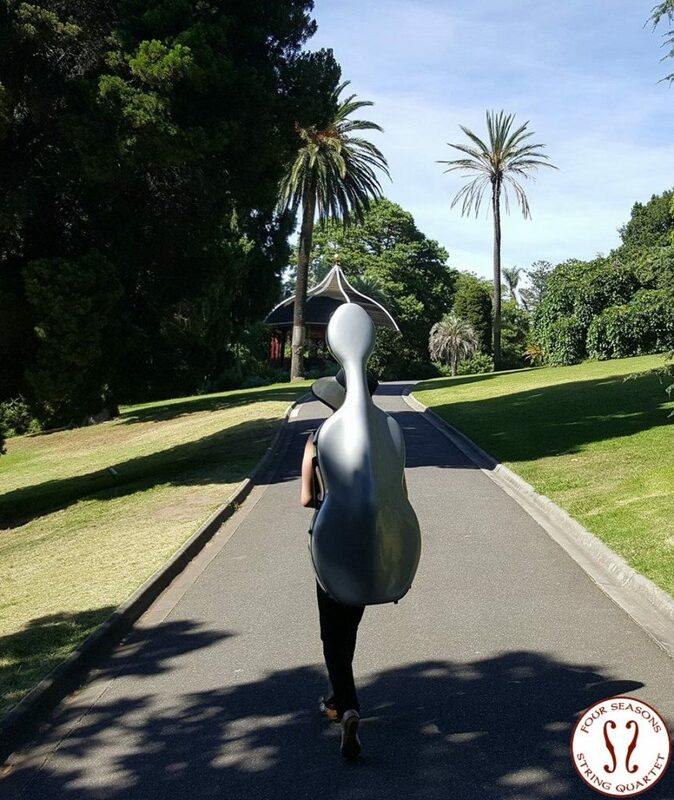 We have specially arranged music for the two instruments incorporating as much harmony as possible with the melody (violin) and bass (cello) parts. However having only eight strings there are limitations. All this is necessary to know when you hire a string quartet. Can you play special requests, songs, which are not included in your repertoire ? Absolutely. We are constantly learning new songs based on demand; therefore our already extensive repertoire is ever increasing. Please contact us to receive our most updated repertoire. 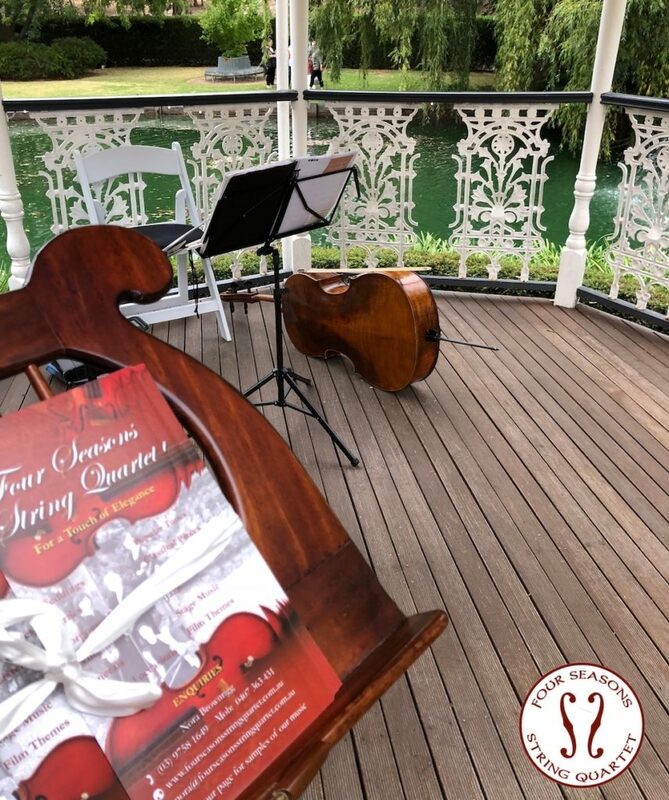 If you wish to choose a song outside of our list there may be a small additional charge for the purchase of the sheet music (subject to availability) and arrangement for strings. Are the set up or pack up times included in the booking time? No. We start and finish playing at your nominated times and after our minimum charge of one hour we can go by 15 minute segments so you only pay for what you need. Are the times when music is not required (eg. during vows, speeches) included in the booking time? Yes. Our charges are based on your nominated start and finish time and not on how much we play. We require a 10-15 minute break after each hour of playing, however we are happy to follow your itinerary to maximise the opportunity for entertainment using speeches for our break(s) if needed. Do you require chairs to be provided? Yes, you need to ensure your chosen venue has armless chairs set in position prior to our performance time. Absolutely. However our valuable instruments cannot & will not be exposed to direct sun, rain or drizzle, sand or extreme weather conditions, therefore protection from the elements is required. On a fine day we can set up in the shade of a tree or building. What happens if one of the players is sick or unavailable on the day of the performance? It is very unlikely scenario but as we have a large network with other professional musicians we can engage a substitute player with only a short notice without compromising the standard of our performance. Do you attend wedding rehearsals? There is no need for us to be at your rehearsal. We are experienced and will watch the proceedings and time our music according to your needs regardless of the length of your chosen music. Each song can be shortened or lengthened and will be concluded at the right time for the ceremony to flow smoothly. However, if you wish us to take part in the rehearsal we are happy to do so. Our standard fees would apply. Can I choose my song selection? You are welcome to select your favourite music or if you prefer we are happy to choose pieces suited to the occasion. How many songs do you play in an hour? We are all acoustic and our sound can fill a large room with several hundred guests or travel a fair distance in an outside setting. If you require amplification we ask you to supply all technical support. Do I need to meet with you to discuss our plans? While you are most welcome to meet Nora (Cellist / Music Director) at her studio, with email etc. this is not necessary. Can I hear you play before making a booking? We understand the importance of your desire to ensure you receive quality when booking. While we perform over 100 times a year most of our bookings are private, which we respect. For this reason we have made video recordings, which can be visited at www.facebook.com/fourseasonsstringquartet or our YouTube. Our upcoming public performances are posted on social media and we invite you to come along. The quartet requires a 3 metres wide and 2 metres deep area. We set up in a semi circle formation. 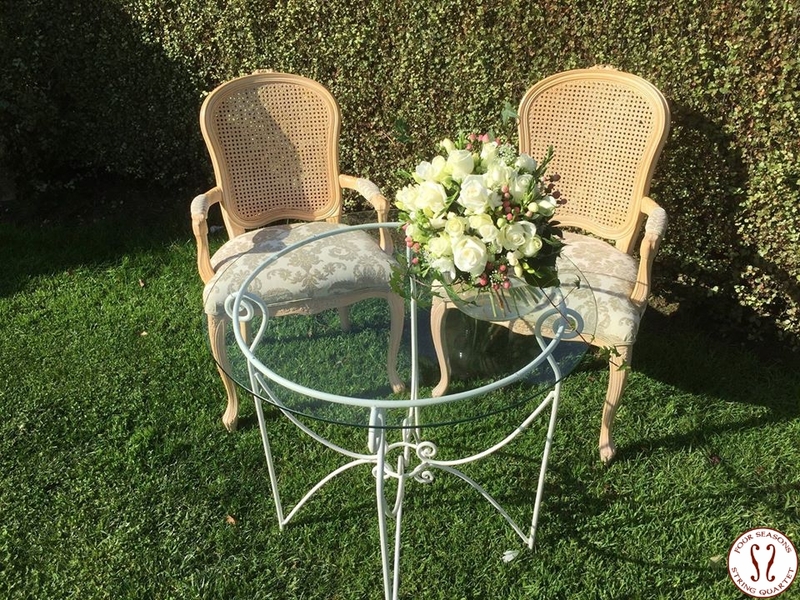 We recommend our trio or duo ensembles if you have limited space available. No. If you contact us directly we can keep our prices to the minimum by paying no commission to agencies or third parties. Our prices are travel inclusive within our metropolitan area and we do not charge for set up time or GST. Please contact us to receive our various price packages. If you wish to book we require a non refundable $100 deposit to confirm your booking. This is part of the total fee, not an additional charge. The balance is payable 7 days prior to the day of performance by EFT. Balance payment on the day of performance can also be arranged.